Mental health experts share their strategies for shifting your worries into something healthier and more productive. It would be lovely if we could just take our anxiety and immediately shift it into productivity, but it’s best we calm down first. Natalie Finegood Goldberg, a licensed marriage and family therapist recommends practicing physical grounding. Another way of grounding yourself is by shifting your attention to your physical surroundings. Just as journaling can benefit a gratitude, positivity or self-care practice, it can help us get anxious thoughts out of our head and on to paper. 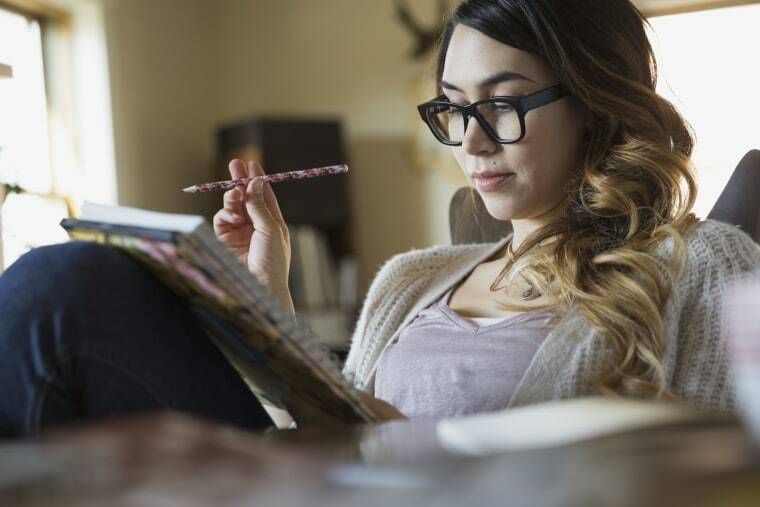 “One of the main benefits is that journaling helps you work on having a deeper understanding of your triggers so that you are more prepared on how to deal with them,” says Celeste Viciere, a licensed mental health clinicial. If you’re feeling blocked looking at a blank page, try guided journaling, or google “journal prompts for anxiety” and you’ll find tons of cues to get you started. You can also use a journal to log and refute anxious thoughts. One of licensed professional counselor Essence Cohen Fields’ top recommendations to clients dealing with anxious thoughts is to express themselves through art. You can even engage in something very simple, like coloring. One of the trickiest traits of anxiety is the sense of urgency it brings. Remind yourself that you'll have time for thinking later (when you’re in a clearer state of mind), and schedule time to do just that.